So at first blush this isn’t going to appear to be shallow at all. But read on and you will see just how good I can be at making even the most sincere and heartfelt activities meet my needs. Tomorrow my team, “Fast in the Past” (get it!) will be participating in the CityChase Race, which I am pretty sure was created just for people like me who always dreamed of taking part in the real “Amazing Race” but didn’t have a handy moniker like “Dating Divorced Couple” or “Motorcycle Chicks” to get them in. So you get the picture. We get clues that make us run around to various landmarks in the city and, once we get there we undertake challenges that are presented to us. Like eating worms, or running the track or jumping over cars, and once we do this for six hours (you heard me, six!) 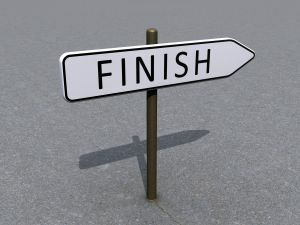 we get to go to the finish line and let people know that we are done. No million bucks, no medal, probably not even a good bagel. Just the satisfaction of knowing we were able to finish. Donations of $20.00 or more automatically receive a tax receipt so it’s not costing you as much as you think. What could be more satisfying that knowing you had a part in putting smiles on the face of little children as they play in the open air, leaving their troubles behind them for just a short while. Hey! They don’t call me the “Queen of Guilt” for nothing! My biggest concern about the race is that the weather tomorrow calls for rain and you know that’s going to play havoc with my hair. It’s a sacrifice but I’ll be there nonetheless. We’re running this with another team who have connections to folks with rather deep pockets. They have already surpassed their fundraising goal. This competition has really started. Have I ever asked you for anything, ever? Now I know you’re thinking “I can do this but not right now”. Well, I hate to be pushy but the race starts tomorrow morning and I’ll need that stamp for ChasePoint #1 at the get go so there’s no better time than now to show your support. Thanks for any help you provide and I’ll let you know how this things go as I’m pretty sure I’ll find a few shallow posts along the way. BTW..if you happen to be one of the members of my family reading this feel free to pass it on to those who don’t. I would hate to have them miss out on this opportunity to support me.